This 'Walking Dead' actor is as good at celebrity impressions as he is at fighting zombies. 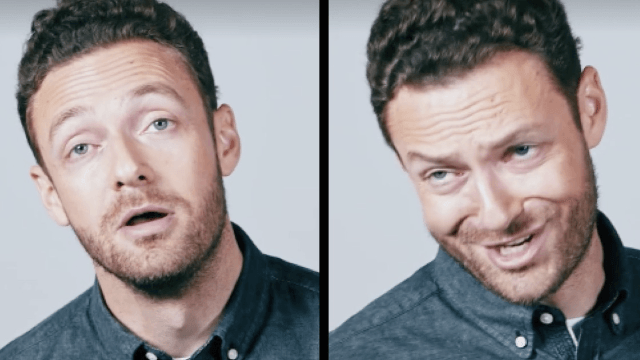 Walking Dead actor Ross Marquand has some pretty serious skills that go beyond hunting zombies. In the past, Marquand has gone viral for his spot-on celebrity impressions, and now he is back with an impression mash-up that is not only impressive, but pretty damn hilarious. In this new video from Esquire, Marquand does a "casting remix" mismatching famous actors with roles they've never played. If you ever wondered how John C. Reilly would have been in Taxi Driver or how Jack Nicholson would have played the lead in Taken, wonder no more. The varying accents, voices, and mannerisms are all dead on—or should I say "Walking Dead" on ;). Okay, sorry I ruined it, here is another video of Marquand doing really awesome impressions.